Exactly how serious is this Sunday obligation? 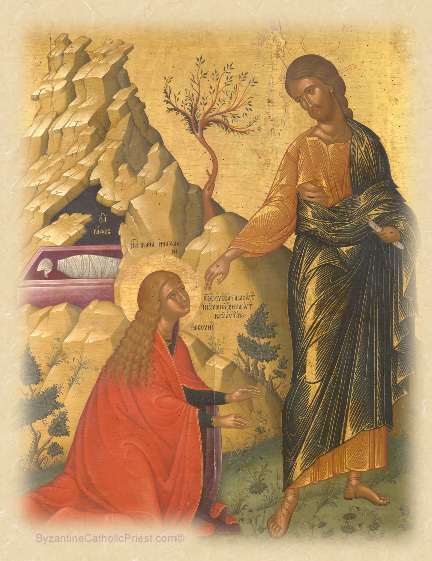 The Third Paschal Sunday, known as The Sunday of the Myrrhbearing Women. The Memory of the Righteous Joseph of Arimathea & Nicodemus. 12:36 PM 5/8/2011 — From a purely historical point of view we know why these women go to the tomb: the Jewish burial ritual is a lengthy one: the body must be anointed with perfumed oils; but, since Jesus died in the afternoon, and the Sabbath was beginning, there was no time for this. So, on Sunday morning, at the crack of dawn, these three women, who had cared for our Lord’s simple needs in life, went to the tomb to provide just one more service for him in death. It’s also important to note the parallel the early Christians made between the rising of Christ from the dead and the time of day at which it happened: just as the sun was rising in the East; hence, the earliest manuscripts we have which describe how the first Christians worshipped show them performing the Lord’s Supper on an altar which faces the East, as they themselves faced the East; and they did this, as far as possible, just as the sun was rising; because they saw in the rising sun a symbol of our Lord’s resurrection. To this day, our churches, whenever possible, face the East; and, when it’s not possible for a church to face East, we pretend that it does, with all of us, priest and congregation, facing the same way as well, as if to see, in the rising sun, our risen Lord. The spiritual implications are unmistakable: Jesus is the rising Sun which should light our day from its first moments. The whole day becomes different when it is illumined by the Lord. If we have come to see it that way—as a burden—it’s because, somewhere along the way, we’ve lost our connection with those earliest Christians who handed these traditions on to us down through the centuries. Reconnecting with them—and to the traditions of our faith—is something that can only be done by each one of us in our own hearts. And that, more than anything else, was my motive for choosing the theme for this summer’s preaching series. As you know, most summers, beginning on the Sunday after Pentecost, I choose a particular theme for the homilies of the summer months. The last time we did a series on the Divine Liturgy was in 2005; and it’s time to revisit that topic, not only because it’s been so long, but also to help us reinforce and reevaluate our relationship with the Lord’s Day. The Sunday Liturgy—whether it’s on Sunday or Saturday evening—is not something we fit in when we have time; and, if it has become that, perhaps it’s because we haven’t considered it carefully enough. When I turn around from the Holy Table to give a blessing, and see people making no attempt to sing, or making a cross in a perfunctory manner (or not making it at all), and no one at all making any attempt to bow at the required times, I know it’s my own fault for not having instructed you often or well enough. But the main thing that concerns me is the possibility that we have simply forgotten the deep spiritual significance of the things we do in church. We cannot be here simply to fulfill an obligation. We have to be here because we want to be; and how can we want to be if we don’t understand what we’re doing or why? Now, we have a few Sundays before Pentecost; so, our series on the Divine Liturgy won’t begin for a while; but I wanted to let you know it was coming. In the mean time, at least we can contemplate the hidden significance of the visit of the holy women to the tomb of our Lord on the first day of the week, how that event shaped the life of the Church for generations, and how we can begin to reconnect with the ancient faith we have inherited from them.